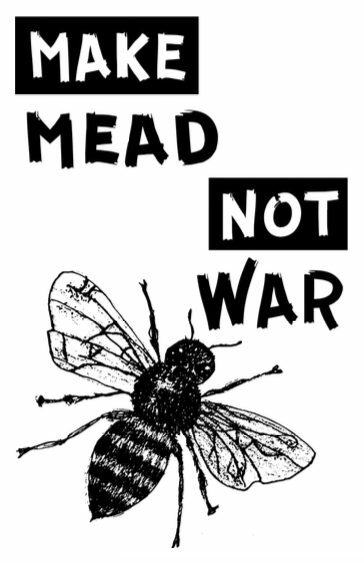 Check out this awesome zine about making mead sent to us by our friend Jonathan Tanis. It starts with an introduction contextualising fermentation as a political act which is both democratizing and embraces the commons, bubbling away with “unrealized possibility” for forming human connections and alliances. It then moves on to explain the historical and anthropological contexts of mead making. Humans have been consuming honey for nearly 9,000 years and mead has featured heavily throughout our civilizations. Naturally there are also instructions and a recipe for brewing your own mead at home! This is a fascinating and inspiring read full of history, art, poetry and politics, and as the authors say, in this time of global strife and agitation, make mead, not war. If you or somebody you know is an artist, poet, academic or farmer, and would like to get involved with future Culture & Agriculture or Agropunk zines, please contact Jonathan at justjontanis@gmail.com.